Political commentators Johnny Lau and Ching Cheong compare the current social atmosphere in Hong Kong to the one just before the 1967 leftist riots. The Alliance for Peace and Democracy is using organizations to accomplish the political task of the authorities. The society is being torn apart, and authorities are aggravating the situation by playing on the people’s sentiments, Apple Daily reported on Monday, citing Lau. 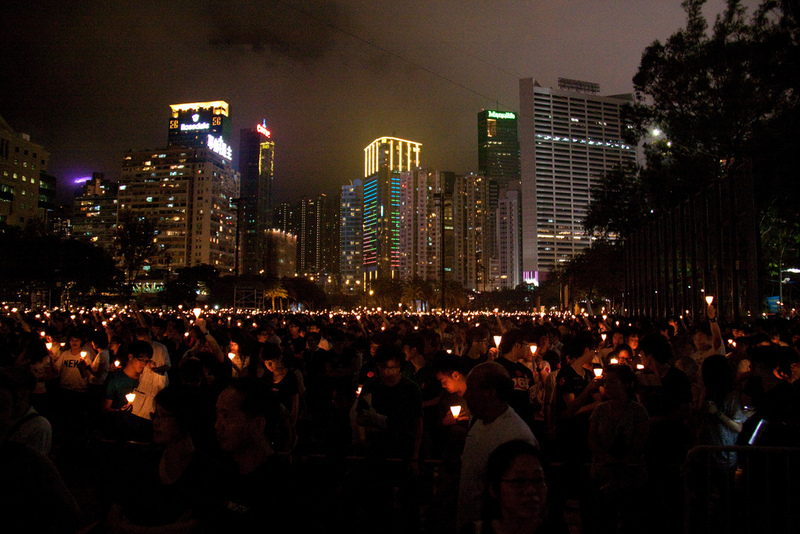 Hong Kongers Demand Self-Determination—Will Beijing Listen? HONG KONG — Last Monday marked the 16th anniversary of the return of Hong Kong to Chinese rule after more than 150 years of being a British colony. Official and unofficial events here attempted to present a cheery picture of Hong Kong’s relations with the mainland. Before the 1997 handover, the Chinese Communist Party focused on courting businessmen, academics and activists to secure influence and loyalty. It has now become more assertive, attempting to isolate party enemies, silence critics, and deliver votes. Occupy Central with Love and Peace, or Occupy Central in short, does not refer to the Hong Kong version of the anti-capitalistOccupy Wall Street movement in 2011. Nor is it a romantic title of a melodrama. Instead, it is a proposed civil disobedience movement which would take place in Central (the CBD), Hong Kong in July 2014.